My couple yesterday, Valerie and Bryan, planned a sparkler exit from their wedding. Did you know you can get jumbo, 3 minute sparklers ? Speedily getting all the guest’s sparklers lit at the same time was another matter, entirely. A little earlier in the evening, my co-pho, Jolie and I ducked outside for a few minutes to test some effects. Valerie and Bryan were more than game, so we played for a few minutes. Personally, I love the heart. 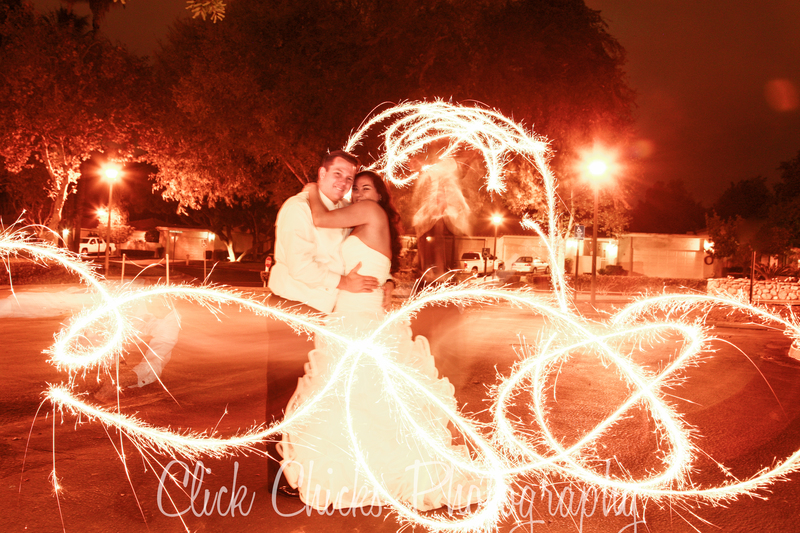 The other shot is achieved by having two people running around the couple, each with a sparkler. The exposure here is even longer: 2.3 seconds. They can go up, down, around, and zig zag with the sparklers, but they can’t cross over their faces. I still don’t entirely understand why or how, but in many images you can’t see the ‘runners’ at all, and in others they look like shadows or ghosts. If you look closely at the second image, you can see the arm and hand of one of our helpers on the left. Valerie was a gorgeous bride. Look forward to sharing more, but had to do a sneak peek of these two images! 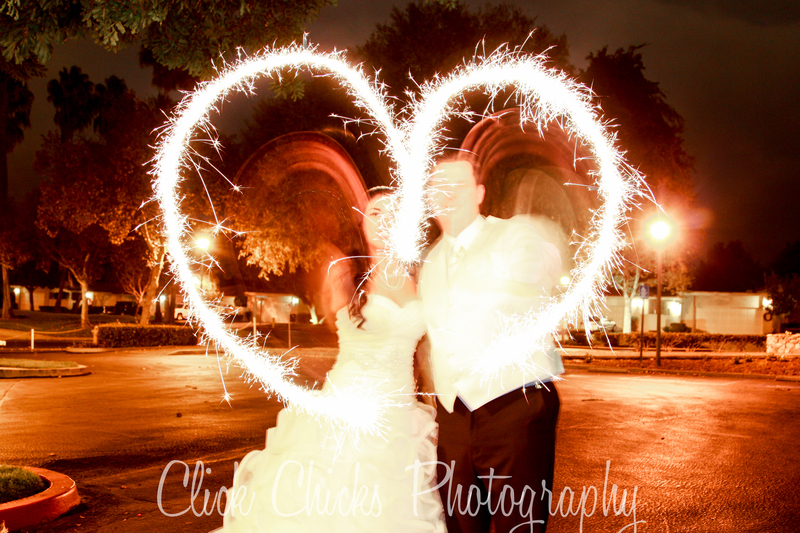 This entry was posted in Uncategorized and tagged Click Chicks Photography, orange county photographer, photographing sparklers at weddings, wedding sparklers.